Trump to name Rick Perry Secretary of Energy, Ted Oberg has more details. WASHINGTON DC (KTRK) -- President-elect Donald Trump selects former Texas Gov. Rick Perry to be secretary of energy. The two-time presidential candidate had been a harsh critic of Trump during the 2016 race, calling him a "cancer to conservatism." He later endorsed the Republican nominee and said he'd be willing to work in a Trump administration. President-elect Donald Trump is expected to name former Texas Gov. Rick Perry to be his secretary of energy, senior Trump transition officials tell ABC News. One of Perry's best-remembered moments from his first White House run was when he couldn't remember in a debate the third of three federal agencies he promised to eliminate if elected. The one he forgot was the Energy Department. He has met with Trump at least twice in recent days to discuss a position in the administration. 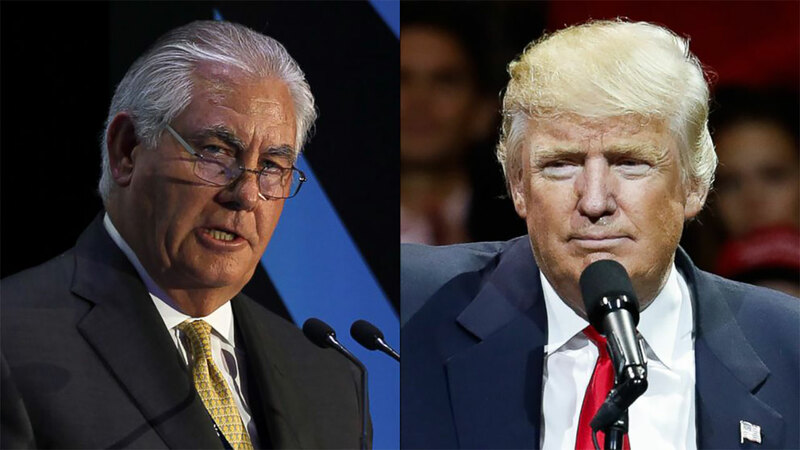 ExxonMobil CEO Rex Tillerson has emerged as Trump's pick for Secretary of State, according to his team. Gov. Perry will make a terrific Secretary of Energy. For 14 years, he led the State of Texas, and with low taxes, restrained spending, and limited regulation, Texas became one of the greatest economic powerhouses in the world. His executive experience across diverse policy areas makes him qualified to run just about any federal agency. Gov. Perry is an exceptional pick to head the Department of Energy, and after presiding over the nation's number one producer of oil and natural gas, and one of the nation's leaders in wind, solar, and nuclear energy, he understands the importance of our country's energy resources not only to our economy, but also to our national security. I am confident that Gov. Perry will be an aggressive champion for opening more lands to exploration and working to reduce our dependence on foreign energy sources. I enthusiastically support his nomination as Secretary of Energy. I'm thrilled with the President-elect's decision to bring a proven Texas leader like Governor Perry into his Administration. For eight years the Obama Administration has kept a boot on the necks of our energy providers, stifling their ability to grow and innovate. Under Governor Perry's leadership, Texas showed the country how lower taxes and sensible regulations can boost energy production and create jobs. As a Texan, Governor Perry understands the importance of empowering an all-of-the-above energy strategy that encourages innovation and spurs growth from the ground up. A good friend, proud veteran, and dedicated public servant, I look forward to supporting Governor Perry's nomination. President-elect Trump continues to surround himself with individuals who share his commitment to overhauling the job-killing regulatory environment created by the Obama administration. Under Rick Perry's leadership in Texas, the Lone Star State experienced unprecedented growth in the energy sector, which in turn created hundreds of thousands of jobs for Texans. Rick Perry was instrumental in creating a more favorable regulatory environment for the energy industry in Texas, and I have no doubt that he will bring that same expertise to his new post. The State of Texas looks forward to working with him to help advance America's energy sector to create a more robust economy and greater opportunity for all Americans.